This recipe for Ricotta cookies or Biscotti di Ricotta is adapted from Lidia's favourite recipes cookbook. I halved the original recipe to make about 18 cookies, if you make the full recipe with the quantities below it will make about 3 1/2 dozen. I didn't add vanilla extract as I used vanilla flavoured sugar. I also didn't coat the cookies with the suggested 2 cups of icing sugar mixed with 1/4 cup fresh lemon juice because it was sweet enough for us without the confectioner's sugar. Mix the flour, salt and baking powder and leave aside. Beat the sugar with the butter until fluffy and light, then add the eggs one at a time and beat well. Add the ricotta and lemon zest if using and beat only until it combines. Add the flour mixture and beat in low speed only till it incorporates, do not over mix. In a cookie sheet pan with a baking sheet place a tbsp on dough about an inch apart and bake at 325F for 20 to 22 minutes until the cookies are puffed and golden. Halfway through the 20 minutes of baking rotate the pan ones. After it bakes cool the cookies on a wire rack. When the cookies are completely cool enjoy. I found the cookies soft and delicious. 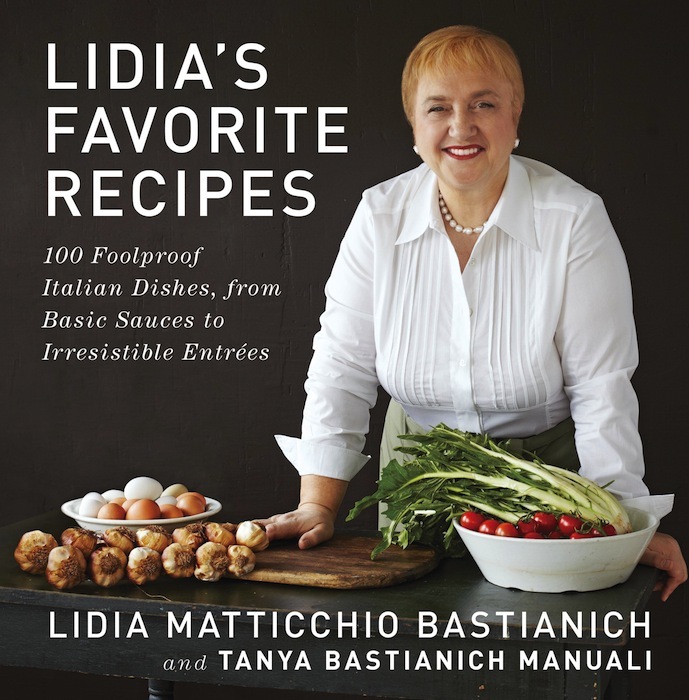 Lidia's favourite recipes cookbook has 100 fool proof Italian dishes that has got many ravings, which she has revised and updated to make it more concise and clear with information such as affordability, seasonality and nutritional value. Looking through the book, I found the recipes easy to follow. The book has lovely pictures for some recipes, although I would have liked a picture for all the recipes. The content is separated into appetizers, salads/soups, sandwiches/pizzas, primi, sauces, vegetable sides, seafood, mean/chicken and desserts. I wish the author included substitutions for alcoholic ingredients :) because there were a lot of recipes that use alcohol, which prevents me from trying the recipes. If you would like to win this book, please enter through the rafflecopter below. The giveaway is open to people in Canada and US ends on November 20th. The cookies sound delicious! I love to bake with ricotta! I love Ricotta.. cookies look nice.. I am in Ontario and I would love to be a better baker and find new recipes to cook. Hermosas y deliciosas galletas me encantaría probar es una tentación con ricotta,abrazos hugs,hugs. Those cookies look delicious, and I love the pairing of the hot beverage in the photo! I am in Canada. I want this book b/c I love Italian but besides pasta and risotto don't really know much and would love to learn! I would love to win as my husband is Italian and is always trying to find recipes that remind him of his childhood. Awesome recipe here..I love this ricotta cookies you share.Thanks. Lovely cookies, the ambience and background looks so romantic. These cookies sound great, lovely flavor! The cookies look very nice. I think the lemon zest you have added (or orange zest in its place) would give the flavour a nice lift. I am in newfoundland...would love to win this cookbook for my mother,she would love these recipes..
Ricotta cookies,cant ask more..Scrumptious cookies. Those cookies look perfect with a cup of hot coffee on a windy fall evening! I'm in the U.S. I'd like to win this and give it as a gift to a good friend. I'm making a similar recipe for these cookies, they are amazing! Thank you for the giveaway Akheela! Im in Canada and I love Italian Cooking. I'm in Ontario, Canada & I'd like to win this for my mother, she is an amazing cook & loves cook books. I'm in Canada and I love to cook. Hi Akheela, happy that you visited my space and gave a comment. You r both blogs are really nice. Will give it a try from both of them. I am following your both blogs from now onwards. Glad if you do the same. Love to try this cookies....looks great!!! I'm in the US, and I love italian food but not that great at making it. I'd love to get better! I'd love to win this as a gift for my sister...she'd love it! I'm in the US. Cheers! I am in the US and Lidia is one of my favorite cooks! I've learned so much from her cooking program and would love owning her book. I live in Canada, and would love trying these recipes as I am Italian. Thanks! 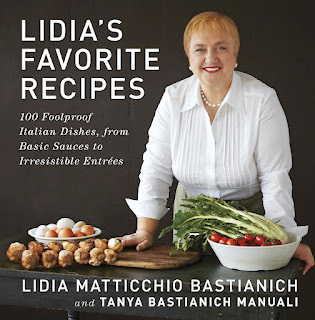 b) I'd love this book because Lidia Bastianich's great reputation as an authority on Italian cooking and successful restaurateur precedes her, and she's someone I watch for on television cooking programs and cooking magazines.